The 2019 Diary is available. 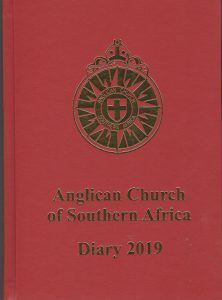 The Diary covers the period from Advent 2018 to December 2019 – includes daily Lectionary reading, information on the Dioceses in the Province, special dates etc. Where can one get a copy of this diary? some diocesan offices have bought stock. Check with them first.